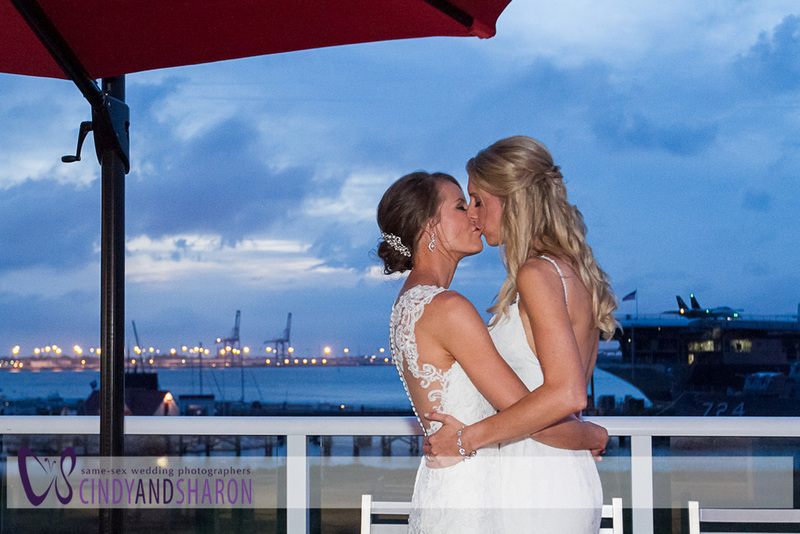 We are so honored that of all the gay wedding photographers in Atlanta, Kat and Lindy chose us to photograph their gorgeous Charleston Harbor wedding on April 30, 2016. Sharon and I enjoyed every minute of their wedding day from the time we showed up to photograph them getting ready until they left the Fish House through a tunnel of sparklers. You can see more images from gay weddings we've photographed here. Go here for more information about us (and to see a really cute photograph of us with our adorable dog, Roux, who is smiling in the photo ... seriously, he's really smiling.) And here to find out if we're available to photograph your wedding.